The Horn Africas Political Newsletters! The Horn of Africa's Political Newsletters (Horn Africas Political Newsletters) publish in depth political analyzing to the political events in the Horn of Africa and East Africa. This is the site map 33 in the HOA Political Scene Blog and one of the 6 site maps of the East Africa's political newsletter, through which you can subscribe to the main newsletter I named the HOA PoliticalScene Newsletter. The site map 33 includes the archived editions of the Horn Africas Political Newsletters starting from the issue number 46 to the issue number 54. 22 editions of the East African's political newsletter are indexed in links at the HOA Political Scene Back Issues at this link, while the other editions of the newsletter are indexed with some descriptions on the main 6 site maps of the newsletter. The other 32 site maps of the HOA Political Scene and the 6 site maps of the political newsletter are included below. The nine editions of the Horn Africas Political Newsletters below follow the political news in the Horn of Africa and East Africa and analyze the political events in each country in the region. Please subscribe to the Horn Africas Political Newsletters to follow the development of the Horn Africa's Network, as well as the political situations in the Horn of Africa and East Africa. Use the form you see at the top of the left column on the Horn of Africa's Political Newsletters. You will also follow updates about the HOA's Comprehensive Projects including the HOA's Cultural Project, the HOA's Journalist Project and the HOA's Poets Project. You should conform your subscription after that. The confirmation is very necessary, as this is a double opt-in list to eliminate spam. You will not receive the Horn of Africa's Political Newsletters, if you did not confirm. To confirm your subscription to the Horn Afriacs Political Newsletters, just click on the confirmation link in the email, the automated system will send to your email address, when you finish submitting the form. When you click on the confirmation link on that email, you will reach a page with links to download or request some e-books or courses, as gifts for you. You can read them just for knowledge, or use them to discover ways to publish your own website, as I explained at Choose It and CTPM. This edition of the Horn Africas Political Newsletters started with some questions, such as: How does reconstruction of the Sudanese public opinion work? Did Obama's strategists fail him to think right about Libya? Why the EU is wrong in its policy to impose war on Libya? It provides good answers to these questions highlighting the political situations and the development of the political events in Sudan, Libya and elsewhere, where the American and European interests go deeper to tie those countries with their international policy. In addition the column, Beauty of the Words continues in this edition of the Horn Africas Political Newsletter. The Love Whispers column continues too with some sentimental words to make the political newsletter lightweight. The 47th edition of the Horn of Africa's Political Newsletters analyzed the policy of hunger and explains how it escalates in the Horn of Africa and East Africa. It has also two questions, you may use the form on the linked page to write your answers to these questions. The two questions are: Why do you hate the religious state in Sudan? Why do you hate political Islam in Sudan? These are serious questions and I assure you hate what I mentioned here above. I'll continue hating these terms, because I know very well the state, just any state is a secular concept. There's nothing for religions to interfere in the political life of any state. This edition of the Horn Africas Political Newsletters supports the victims of torture in their international day and updates the Horn of Africa's Arabic and English Blogs. It exposes that the Sudanese military religious regime of Omar al Bashir plans more wars. It warns that international interference weakens our people to topple their dictators, especially the Sudanese dictatorial regimes by themselves! International interference is imperialism and it weakens our people. The 49th edition of the Horn of Africa's Political Newsletters highlight the drought in the area and the political causes of the drought. At that time, over 10 millions of people were threatened by the drought, while the dictators enjoy wealth and power and even dance on their people's bones. This edition of the Horn Africas Political Newsletters has some updates covering the development in the HOA's Network. The updates cover both the cultural development and the political events with the highlights we provide in each edition. It follows the interaction between the commentators and highlight the replies they post using different pages of the Horn of Africa's Political Newsletter at the time that the network received more readers and subscribers to the political newsletter. The edition 51st of the Horn Africas Political Newsletters highlights the cultural project and encourages you to participate, be an author and get published through the cultural project. In addition, it analyzes the political events in Somalia, while the deterioration continues combined withe drought, piracy on the Somalian waters and shores and other security threats in the devastated country. The notes are about some technical problems in the Horn of Africa's Political Newsletter happened that time. I explained on these notes how we work continuously to avoid such technical problems and provided some tips with solutions for the loyal readers to get direct to the pages of the Horn Africas Political Newsletters. I suggested for the readers of the Horn of Africa's Political Newsletters to set their goals in the notes number 4 of this political newsletter. I also called readers in Egypt to visit the Egyptian book fair that time to get one of my poetry books from the book fair. The notes number 5 are about the development of the horn of Africa and East Africa's Network. We added a thirds column at the right of the pages to every pages in this network. There is a question in these notes for readers to answer. If you liked the Horn Africas Political Newsletters, please tweet, or share it with your social media services, or pin the pictures on the pages of the Horn of Africa's Political Newsletters. Thanks. You can use this form to comment on the Horn Africas Political Newsletters. Comments on the Horn Africas Political Newsletters appear at the second section of the page, just above this paragraph and below the comment form. My friends scholars find any subject on the development and analyses of the political events in the Horn of Africa and East Africa to rely on for scholarly prepared researches on the HOA Network, or on the web. Like, tweet & save to express your love! Poetry, prose, stories & deep political analyses are included in my books below. Enjoy. hoa-politicalscene.com - Love in the Internet Time on iTunes الحب في زمن الانترنت by Sudanese journalist, poet and writer Khalid Mohammed Osman. hoa-politicalscene.com - Rising of the Phoenix on iTunes صحوة الفينيق by Sudanese journalist, poet and writer Khalid Mohammed Osman. 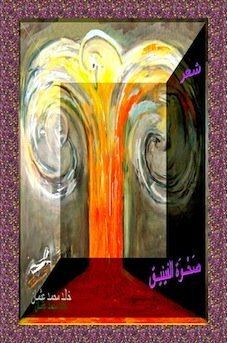 hoa-politicalscene.com - Rising of the Phoenix poems book covers صحوة الفينيق by Sudanese journalist, poet and writer Khalid Mohammed Osman. 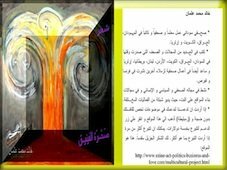 hoa-politicalscene.com - Rising of the Phoenix Arabic poems صحوة الفينيق by Sudanese journalist, poet & writer Khalid Mohammed Osman. hoa-politicalscene.com - Love in the Internet Time surrealistic prose الحب في زمن الانترنت by Sudanese journalist, poet and writer Khalid Mohammed Osman. * Let Khalid Mohammed Osman's Publishing publish your book. Consult us through the Contact Us form. Use the same form, if you want to translate some of my pomes, short stories and political analyses to any language. * Subscribe to the Horn of Africa's and East Africa's Political Newsletter using the form at the left column and confirm your subscription to receive useful e-books and e-courses as gifts of love to our readers!